Asta Ekenvall was a librarian and an intellectual historian. She belonged to the group which founded the Kvinnohistoriskt (women’s history) archive (now known as Kvinnsam) at Gothenburg university library. She was a pioneer of research into women’s history. Asta Ekenvall was born in Anundsjö in Västernorrland in 1913. She gained her school-leaving certificate in Umeå in 1932 and then continued her studies at Uppsala. In 1939 she married Verner Ekenvall and they had two children together, a daughter named Lena and a son named Björn. During her student years at Uppsala she attended the seminar on intellectual history and the history of science established by Johan Nordström. Her fellow students included Sten Lindroth and Henrik Sandblad, both of whom later became professors in the new field of intellectual history and history of science, the subject in which Asta Ekenvall gained her licentiate of philosophy. She graduated in 1940, based on a dissertation on Swedish sciences in foreign academic journals. Her dissertation concerns a broad discussion on significance of the establishment of scientific journals in the seventeenth century, which served as sources for research and the dissemination of knowledge. In her licentiate dissertation Asta Ekenvall deals with Swedish scientists who published their research (forskningsrön) in foreign academic journals (facktidskrifterna) as well as the academic journals which soon became established in Sweden. Asta Ekenvall continued studying and publishing after gaining her licentiate but she did not want to apply for a doctorate. In one of her many letters to  (Barbro Alfving) she reflected on her earlier lack of awareness of women’s issues and looked back on her student years: “When I was 29 years old I had just finished my licentiate, I think, was pregnant with my first child, and had decided not to do my doctorate as I was not sure of gaining a post as college librarian (my husband wanted to be a teacher and had to be ready to move around for many years) […]”. The letter was sent from Linköping where her husband was employed as a teacher. Shortly thereafter the couple moved to Gothenburg, around the same time that Asta Ekenvall became one of the first two women to be awarded the research stipend which had been set up in  (Elin Wägner)’s name. Asta Ekenvall used the stipend to undertake historically innovative research, seeking to investigate why in Western academia women were deemed to possess less-valued intellectual abilities. She wanted to fully understand the basis for this judgement. The relationship between ancient medical theories of fertility and ancient philosophical views of women played an important role. Her study deals with gender perspectives through time and across various societies, even unlettered ones. She published her results in 1966 in her book Manligt och kvinnligt: idéhistoriska studier. Here Asta Ekenvall reveals how understandings of the mechanics of reproduction had impacted on the value of women ever since Aristoteles onwards. The book is a frequently quoted pioneering work and was released in a second edition in 1992. She later further developed the anthropologically broad approach and penetrating analysis in an essay entitled ‘Groddjuren som frukbarhetssymboler’. Asta Ekenvall was also interested in similarities between various societies and eras as well the studies of ancient theories of fertility. 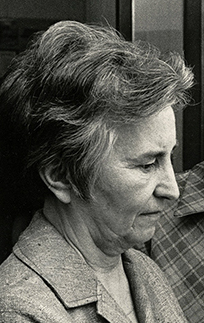 Asta Ekenvall began to work at Gothenburg city library (later Gothenburg university library) in 1957 and served as its chief librarian from 1968-1978. She, her colleague  (Rosa Malmström), and  (Eva Pinéus) – who was chair of the Fredrika-Bremer association branch in Gothenburg – set up the Kvinnohistoriskt archive, which later became the Kvinnohistoriska samlingarna (now Kvinnsam), at Gothenburg university library in 1958. The point of the archive was to collect and make accessible material which made women’s history visible. Asta Ekenvall did this work voluntarily and was unwilling to become the head of any kind of political group. To her it was the material that was important. The archive became – and remains – extremely important for research into women’s history in Sweden. In 1972 Asta Ekenvall was appointed honorary doctor of philosophy, and the very next year she retired from her job as librarian and then moved to Stockholm. She was awarded a professorship in 1993 in recognition of her academic publications and her activism on behalf of women’s history. Asta Ekenvall died in 2001. She rests in the memorial garden at Västra cemetery in Gothenburgh. Her surviving papers were donated to the very archive that she had helped to establish. This collection includes her correspondence with Barbro Alfving, expressing everything from deeply personal feelings to scientific issues. Asta Ekenvall’s estate reveals that she was extremely engaged in various political issues while the lively correspondence is evidence of the breadth of the extensive network of contacts that she created over the years. Astrid Märta (Asta) Ekenvall, www.skbl.se/sv/artikel/AstaEkenvall, Svenskt kvinnobiografiskt lexikon (article by Maria Sjöberg), retrieved 2019-04-23.